From Emma Roberts to Alessandra Ambrosio – Everyone is Wearing Cropped Jeans! 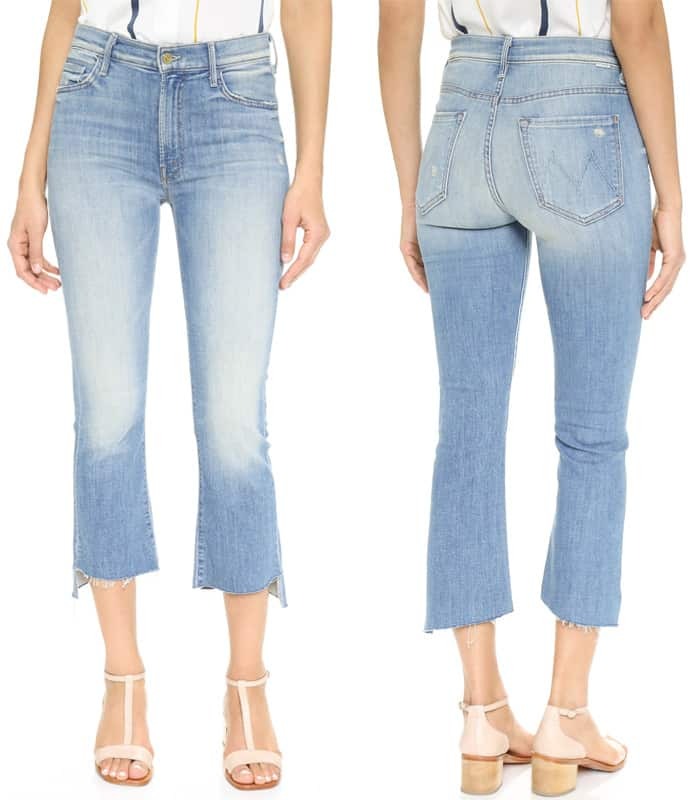 Unless you’ve been living under a rock, hiding from civilization and completely oblivious to the trends sweeping the fashion industry, you might have noticed the current trend that everybody seems to be rocking – cropped jeans! The “Scream Queens” actress seems to be a huge fan of the cropped jeans trend. She has worn these kind of jeans multiple times. 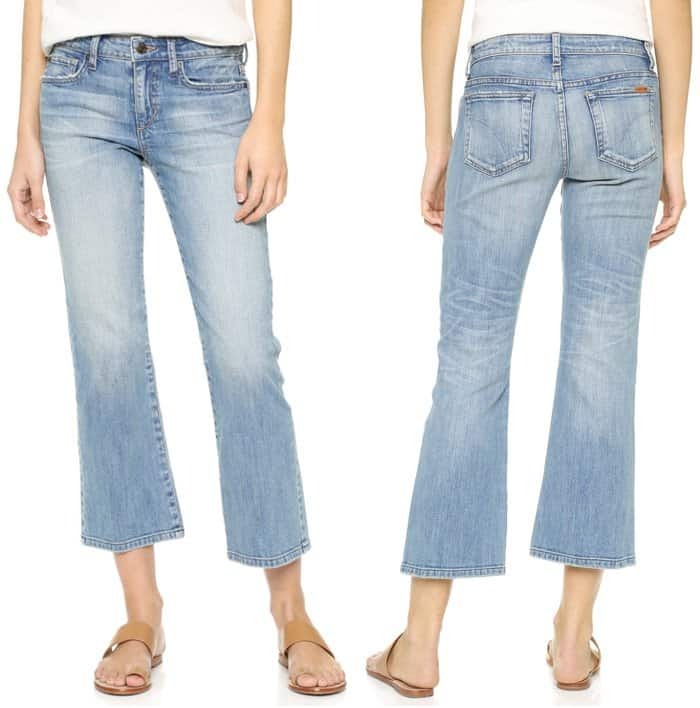 For this look, she rocked the popular Mother “Insider” crop step fray jeans in Not Rough Enough. She paired them with a plain white shirt, a pair of Tabitha Simmons oxblood “Hermione” flats, a leather jacket and a Proenza Schouler lunch leather shoulder bag. 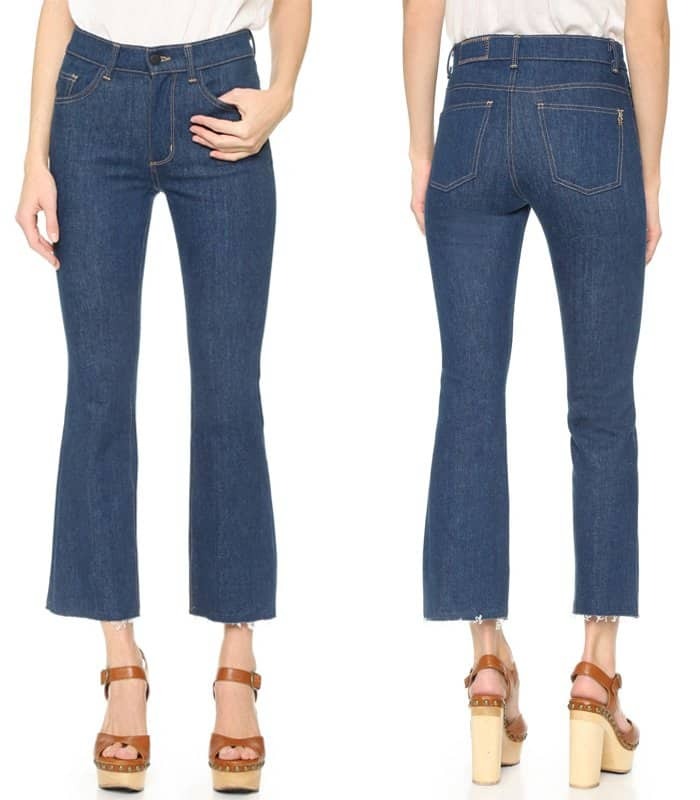 Cropped jeans seem to be perfect for a sunny day out. The Victoria’s Secret model chose to style her pair with a sweater and a pair of slip-ons. It can’t get any more comfortable than this. The pop singer gave this pair of jeans extra class and sass by teaming them with a long leather mustard yellow coat. 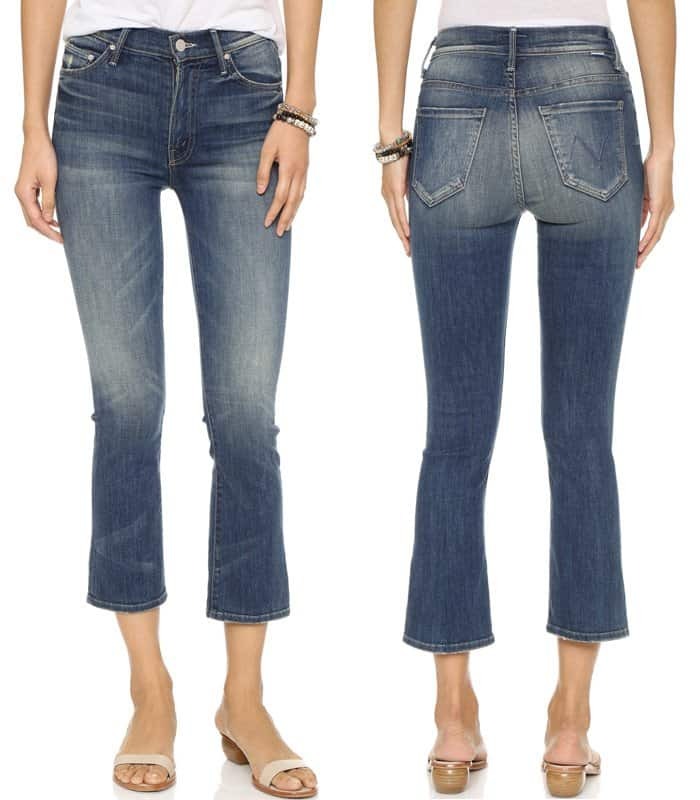 This just shows how easy cropped jeans can be elevated from casual to classy chic. 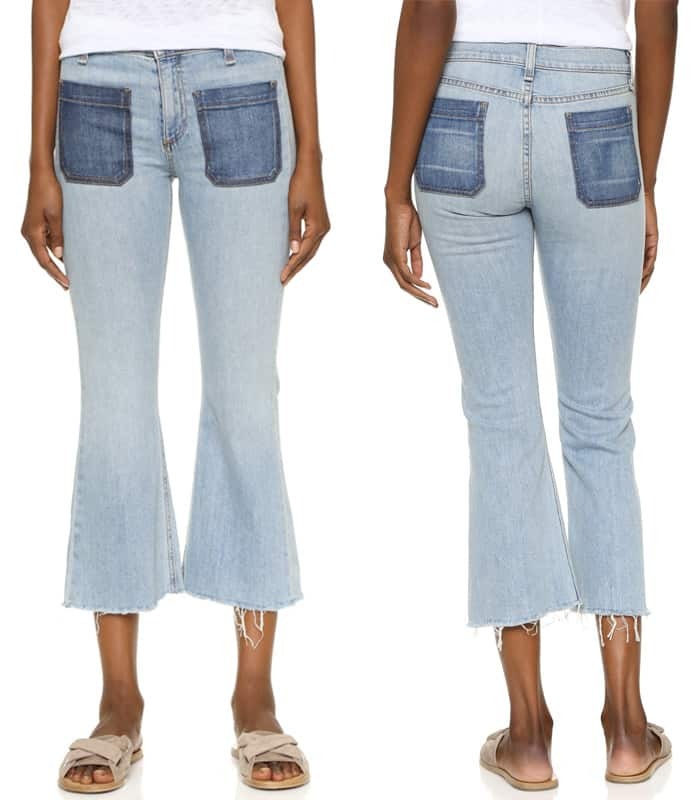 Cropped jeans can also be taken the bohemian route. Kristen Bell wore this pair with a flared lace top and a pair of studded sandals. The “Game of Thrones” actress gave cropped jeans a more sophisticated vibe with a pair of red sandals and a classic turtleneck sweater.